The Committee had decided at its previous meeting to seek legal opinion on the existing SASSA annual performance plan (APP) that had been sent to Parliament during the budget process. It had asked about the need to revise the APP based on the orders of the Constitutional Court. The parliamentary legal advisor noted that the Constitutional Court gave specific directions to SASSA on the need for its APP to be aligned to the court’s decision. The Rules of the National Assembly provide the procedure to be followed in aligning an already submitted APP to the findings of the Constitutional Court. The Committee should inform SASSA that the current APP should be updated to reflect the content of the Court decision. It should then be resubmitted in the same manner as the current APP was submitted. The Court’s decision did not invalidate the APP. It only required an alignment of the APP to reflect the matters raised in the Court decision. The alignment of the APP would assist the Committee in carrying out effective oversight over SASSA. Members asked about the budgetary and legal implications of amending the APP after the budget vote; the extent of work done by SASSA in amending the APP; and the effect of the alignment on the overall budget. SASSA explained that the only omission identified in the APP was the failure to specifically mention some of the projects that would need to be done. Today’s presentation would identify those sections in the APP that were affected and the proposals to deal with them. SASSA’s progress report on the Constitutional Court ruling was presented. It was still working on the detailed costed plan the Committee had requested that took into consideration the financial implications of the Court judgement. The reconsideration of the APP in light of the Court judgment has begun. An Inter-Ministerial Committee meeting chaired by the President was held on 12 May 2017 and a progress report was presented by SASSA. Questions raised at the meeting were similar to those raised by the Portfolio Committee about speeding up the process, having a costed plan, and complying with required procedures. SASSA met with the Standing Committee on Public Accounts (SCOPA) on 16 May 2017 and it raised the same matters as the Portfolio Committee. There is an engagement today with the South African Police Office (SAPO) to finalise areas of possible collaboration with SASSA and to get estimated costs. On the APP amendments, relevant paragraphs were drawn out to show that SASSA had anticipated the phasing out of the CPS in the APP. The APP however, omitted the timeframes and specific pronouncements on targets such as the recruitment of a new service provider. SASSA reported on progress achieved in terms of expenditure; other projects that would be embarked on by the agency; and the agency’s efforts to synchronize its activities with different government institutions. On financial implications, it was pointed out that the Court was clear about the protection of beneficiary data. SASSA has therefore proposed that Regulation 26A on deductions should be implemented within the agency and not by a service provider. This process has begun and it was expected that its implementation would be piloted before the end of the year. The project was feasible and would cost little to implement. 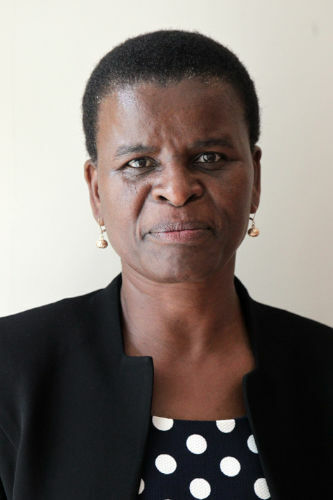 Other elements of the judgment included the movement of money from SASSA into the CPS account for transacting purposes; the need for specificity on timeframes for phasing in a new service provider; submission of quarterly reports to the Constitutional Court that came with financial implications not budgeted for by SASSA; appointment of a system regulator; and the piloting of alternative pay points. SASSA urged the Committee to grant it two weeks so that it could come up with a detailed cost plan. It was expected that the revised amendment on the APP would be submitted to the Committee early next week. In discussion on the progress report, Members asked about the timeframe for submitting the revised APP before the 25 May budget vote and the possibility of MPs engaging with it given such limited time; the interaction of SASSA with SCOPA where different information seemed to have been presented; the commencement of a bidding process; specific services to be provided by the new service provider; skills that would be needed from staff that would be recruited; the need for a clear budget that would accompany the APP; SASSA’s reasons for not following up on the delay in the Court’s pronouncement on experts; the status of SASSA’s capacity and its vacancy rate, and the effect of such incapacitation on SASSA’s ability to comply with the Court judgment; the possibility of getting a draft of the revised APP before the actual document is presented to the Committee for better engagement by MPs; reasons for the lack of needed skills within SASSA; the possibility of having the date for the budget votes shifted to a later date; the fate of the database held by CPS; factors that may contribute to SASSA’s inability to have an alternative service provider within 12 months; the means by which data was protected; and the operation of the work streams. The parliamentary legal advisor gave guidance on the role and functions of the Portfolio Committee compared to SCOPA. The mandate of the Portfolio Committee and the National Assembly Rules provide vested powers for the Committee to carry out oversight on entities under its portfolio, including financial matters. The Committee noted that issues of financial misappropriation could be sent to SCOPA for further investigation. The Chairperson recalled the decision reached by the Committee at the previous meeting to seek a legal opinion on the SASSA existing annual performance plan (APP) sent to Parliament during the budget processes. The issue requiring legal advice was whether new information could be added to an APP after submission to Parliament and the implications of this additional information on the APP. The legal opinion would assist the Committee in its approach. The legal opinion would also create an environment that would enable the Committee carry out its oversight function properly. The legal opinion is meant to facilitate the process of dealing with the required amendments to the APP. The Committee was interested in a speedy processing of the SASSA APP; hence, the legal opinion to ensure it is legally amended. The Committee has engaged with the relevant structures, including the Office of the Speaker. Feedback was expected from Parliament on what should be done to ensure that these judicial prescripts get attended to; as well as ensure that the budget was made available. It was important to keep to the time limits given by the DSD based on the instruction contained in the Court ruling. Apologies were noted from Mr Thokozani Magwaza, CEO of South African Social Security Agency (SASSA); Ms Nelisiwe Vilakazi, Acting DG of Department of Social Development (DSD); and Ms Bathabile Dlamini, Minister of Social Development. There was a standing apology from Deputy Minister, Ms Henrietta Bogopane-Zulu, who was currently hospitalized after being sick for some time. The CEO had authorised in writing that the SASSA CFO lead the delegation at the meeting. Mr Nathi Mjenxane, Parliamentary Legal Advisor, noted that APPs were important documents for the Committee to carry out effective oversight over institutions. The legal unit was requested to answer a specific question about the SASSA APP. The opinion was submitted to the Speaker of the National Assembly who in turn submitted it to the Committee. The APP contained important information on the planning, budgeting, monitoring and evaluation, and implementation of strategic objectives of the DSD. The Constitutional Court had outlined specific action to be taken by SASSA and the Minister of Social Development in Black Sash Trust v Minister of Social Development and Others. These actions had budgetary implications that would have a direct impact on the submitted APP. The submitted APP did not reflect the decision of the Court in the judgment. According to the Constitution, a Constitutional Court (CC) judgment is binding over any other matter. It was therefore, important for the submitted APP to be aligned with the judgment. It should be noted that the National Assembly Rules provides a procedure on how a submitted APP should be updated. The Committee was advised to inform SASSA that the current APP should be updated to reflect the content of the CC decision. It should then be resubmitted in the same manner as the original APP. However, the CC decision in itself does not invalidate the APP. It was important for the APP to be aligned to assist the Department of Social Development (DSD) and SASSA in ensuring compliance with the CC, as well as assist the Committee in carrying out effective oversight. Ms E Wilson (DA) said that it was important for the Committee to take the CC judgment into proper consideration. Her understanding of the legal advice given is that the APP has to be reworked to include the issues raised by the CC judgment. She asked if the budget would also be reworked. Ms S Tsoleli (ANC) said the legal advice was very clear. She asked about the implications of dealing with the revised APP after the budget votes have been dealt with. The Chairperson asked DSD to inform the Committee on the extent of work that would be done. Ms K De Kock (DA) asked if the amendment of the APP would affect the overall budget of DSD. Mr Mjenxane said that DSD and SASSA would be in a better position to respond to these questions. However, a programme has been drawn up by Parliament and it was left to the Committee and DSD to agree on how much of the programme would be affected by the work that needs to be done. The budgetary implication of this realignment would be addressed by DSD. He reiterated that the decision of the CC had a binding effect and was therefore, sacrosanct. Ms Tsoleli repeated her question on the implications of not completing the realignment of the APP before the budget votes. Is there a Parliamentary rule or any other law that allows the Speaker to accept the APP after the Department budget vote? The reason for asking was because the entire process of realignment could not be completed within the short time available before the DSD budget vote on 25 May. Mr Mzolisi Toni, Deputy Director General: DSD said that DSD understood the importance of the legal opinion. The DSD had no other choice than to put the matters raised by the CC into a reworked APP. The Chairperson said that SASSA activities should include costed budget amounts. The DSD was asked to give details of which parts of the APP that need to be aligned, and the budgetary implications of doing so. A SASSA manager said that the legal opinion has been looked into. It should be noted that DSD dealt with big allocations and would therefore be able to speak more on the material impact. However, the allocations for which DSD was responsible would not be affected in terms of payment of the grant. Instead, it was the transfer amount to SASSA, which was in the administration budget that would be largely affected. This was where more work had to be done in terms of alignment. The SASSA weekly progress report would highlight the agency’s proposals on how changes to the APP can be dealt with. SASSA would have to reprioritize some of the activities contained in the APP, and also consider how such activities would be funded. The agency would also need to engage with National Treasury to identify critical areas with a likelihood of shortfalls, and then deal with such areas. Overall, SASSA has to realign the current allocated budget to give effect to the judgement of the Court. Ms Raphaale Ramokgopa, Executive Manager: Strategy and Business Development, SASSA said that SASSA went back to analyse its APP after the last meeting with the Portfolio Committee in line with the Court judgment. The analysis was done in detail in order to identify possible contradictory issues in the judgment to the APP. However, no issues were found as being contradictory to the APP. The only omission was in respect of the agency’s failure to mention in clear terms some of the projects that need to be done. It was comforting to know that the judgment did not necessarily invalidate the existing APP. SASSA had already alluded to the implementation of a new process, and the phasing out of the CPS in it. Clauses that affected the APP and the proposed plans to deal with these would be pointed out in this presentation. On 10 May 2017, the Portfolio Committee recommended that SASSA should work on a detailed costed plan and present this. It was also recommended that the APP should take into consideration the CC’s judgement and consequent financial implications. SASSA was still working on the detailed costed plan. The process for reconsideration of the APP in the light of the CC’s judgement has begun. An Inter-Ministerial Committee meeting chaired by the President was held on 12 May 2017 and SASSA presented a progress report. Questions raised at the Committee were similar to those raised by the Portfolio Committee on speeding up the process, having a costed plan, and complying with required procedures. SASSA confirmed that it would not be able to take over within a 12-month period and would therefore be required to get into an agreement to procure services from an alternative service provider. This explained the SASSA’s engagement with SAPO. SASSA will embark on a competitive bidding process to cover areas which SAPO does not cover. On 16 May 2017, SASSA engaged with the Standing Committee on Public Accounts (SCOPA) which raised the same issues as the Portfolio Committee. SCOPA has requested that responses be submitted within two weeks. SASSA was also engaging with SAPO today, 17 May 2017, to finalise areas of possible collaboration with SASSA and get estimated costs. The meeting was aimed at getting a follow up on issues identified during the Request for Information (RFI) process. SASSA was engaging and following up on unclear issues within the written report to secure answers to cogent matters such as security risks, and what is feasible within the procurement. This has contributed to the delay in the costing plan, as preliminary costings had to be clarified. On the APP amendments, Ms Ramokgopa drew attention to the relevant paragraphs where SASSA had already anticipated the phasing out of CPS within the APP, and so there was no contradiction in the outcomes. The only omission within the APP was the time period and the absence of a clear pronouncement on some targets, as well as the recruitment of a new service provider. Statements were quoted from the APP itself (see document). The Minister’s foreword and CEO’s overview were highlighted. Paragraph 2 of the overview mentions that the current social grant payment provider has ended and SASSA had to employ a new service provider in the new financial year. The CEO had indicated that the phasing out of CPS was a priority for the current financial year, and this was in line with the spirit of the CC judgment. Ms Ramokgopa reported on areas where progress has been achieved in terms of expenditure and on other projects that would be embarked on by SASSA, as well as SASSA’s efforts to synchronize its activities with different government institutions. Some of the projects already contained in the APP were highlighted. Although these projects were not payment related, they have been included and anticipated SASSA’s takeover. One such project was the biometric system solution, which would be available to SASSA users in 2017/18 and to beneficiaries in 2018/19. Ms Ramokgopa discussed the financial implications. She said the Court was clear on the protection of beneficiary data. To deal with this, SASSA has proposed that Regulation 26A [only one funeral insurance deduction not exceeding 10% of grant and no other deductions allowed] should not be done by a service provider but it should be done within SASSA. This process has begun and it was expected that the implementation would be piloted before the end of the year. Such deductions for SASSA staff have already started in terms of the arrangement with Treasury and Q Link. Such opportunities have been explored and it has been discovered that the project was feasible and would cost little to implement. This has been captured in SASSA’s draft operational plan. On the movement of money from SASSA into the CPS account for transacting purposes, SASSA was working towards ensuring that the large amounts remained in the SASSA account and that proper reconciliation takes place within SASSA. It was important for SASSA to be specific about its plans to phase in a new service provider as this would reflect its commitment to the CC judgment. It was anticipated that the new service provider would be appointed by December, even though DSD was working towards October. The specific dates would be included in the APP. The submission of quarterly reports to the CC was another element of the judgment which had cost implications not anticipated by SASSA. On the request for names of experts as required by the judgment, SASSA and other parties have submitted names of experts but SASSA was unsure of what the Court’s pronouncement would be and which names would be chosen. The major challenge was that this decision lay with the Court and not with SASSA. Nevertheless, SASSA has commenced work using the normal consultancy hourly rates to come up with estimates for costing these experts. SASSA has proposed CSIR, and other experts within its vendor database have also been proposed. The advantage in using these proposed names was that the rates and cost estimations were available and contracts and memorandum of understanding (MOU) existed. In essence, if the Court should make a pronouncement on the names proposed by SASSA, the service provider would be catered for within the available SASSA resources. The appointment of the system integrator was yet another element. The outcome of the workshop held with SAPO would determine the appointment of SAPO as a system integrator; which would mean that CPS would be available for SASSA use and SASSA would also be able to contract some of it elements. In places where SAPO was incapacitated, an independent company would be appointed as a service provider. SASSA has begun work on the piloting of alternative pay points. The last element under financial implications, and which does not necessarily have to be in the APP, is the identification of costs that need to go to National Treasury for the bidding in September. A business case was needed for this. SASSA requested that the Portfolio Committee should give it one week to redo the costing and then return with a detailed costed plan. It was expected that the revised amendment on the APP could be sent to the Committee on Monday early next week. Ms L van der Merwe (IFP) asked if a revised SASSA APP could be submitted to the Committee on Tuesday 23 May since the DSD budget vote would be debated on Thursday 25 May, and MPs need to have gone through the updated APP before the budget vote. Some of the points in the Court judgment SASSA did not speak to. Illegal deductions and timeframes were some of the omitted issues that need to be reflected in the APP. The Committee needed specific timeframes. She also raised a concern about the submissions made by SASSA to both this Committee and SCOPA. It was disturbing to know that SASSA had gone ahead and provided different information to SCOPA on issues raised by the Portfolio Committee, without rectifying this with the Portfolio Committee. The amount presented to the Portfolio Committee (R6 billion) as the cost of the new contract was different to what was presented to SCOPA. SASSA also had plans to present a plan of action to SCOPA in two weeks’ time. It seemed that the Portfolio Committee has been overtaken by SCOPA as far as the oversight role was concerned. It was disrespectful for the Portfolio Committee to find out accurate information on SASSA through SCOPA, especially since the Portfolio Committee was the primary oversight committee saddled with the responsibility of holding the entity to account. The Chairperson urged MPs to limit their input in order to save time, since MPs would need to prepare for the DSD budget speech. She said the legal unit would give its opinion on the issue raised about SCOPA. Ms B Abrahams (ANC) asked when the bidding process would commence; what specific services would the new service provider provide; and what specific skills would be needed for the people that would be recruited as a means of addressing the 95% vacancy rate. Ms Wilson said that she had a terrible concern with the APP. As the name implies, an APP was an annual performance plan, which serves as a document to which an entity can be held accountable for; and which should have a budget that backs up the plan. SASSA has mentioned several matters that should be included in the APP without an actual APP presented to the Committee. She asked how the APP could be measurable, who to hold accountable, and the implications on the budget. Ms Wilson noted that the Minister had already informed the Committee that it would cost R6 billion over a period of five years to complete the takeover process for the grants. This translated to R1.2 billion per year. She disagreed with the submission of an APP where budgets were estimates. In her opinion, budgets comprised of figures worked into certain scenarios that came with certain costs. The Committee cannot have a budget debate without an APP with clear budgets. She expressed uncertainty on how the Committee could legally approve an APP that would be submitted on Monday, 22 May 2017, and then present this at the budget vote on Thursday, 25 May 2017. Ms Tsoleli said that the statement made about the absence of an APP should be corrected. According to her, incorrect statements were often made in the Committee and it was such incorrect statements that were publicized in the media. She emphasized that an APP was submitted through the normal parliamentary processes but because of a Court ruling, that APP had to be aligned. Ms Wilson confirmed her submission about the fact that the budgets were estimates. She also agreed with Ms van der Merwe on the inappropriateness of SASSA to present different pieces of information to the Portfolio Committee and SCOPA. Nevertheless, it may be that the Committee limited SASSA in what should be presented, since most of the issues being raised at the meeting were not asked at the previous engagement with SASSA. The style of engagements by the Portfolio Committee was different from that of SCOPA in the sense that the Portfolio Committee was often beclouded by emotions and irrelevant issues brought to the fore, resulting in a loss of focus on the main issues. In responding to Ms Wilson, the Chairperson said that the nullification of a document that has been legally approved would be incorrect. This was because the budget processes have been done and the APP was sent to the Committee for analysis. Also, asking questions on issues that have not been presented would only confuse whoever would respond to such questions. SCOPA’s mandate was different from that of the Portfolio Committee; hence, the differences in the style of engagement. SCOPA’s mandate was to deal with financial matters identified by the Auditor General. SCOPA usually requests SASSA to report on specific issues, unlike the Portfolio Committee that carried out oversight functions on every step taken by SASSA. The questions by SCOPA were questions of directions on the need for SASSA to take a particular position, and most of the questions were rhetoric in nature. It was therefore, incorrect to say there was no APP. Ms C Madlopha (ANC) said she has been guided by the legal unit on the role of Parliament in providing guidance to DSD for the amendment of the APP. However, she sought confirmation on finalising the APP by the beginning of the coming week. Ms Madlopha asked what was preventing SASSA from seeking a follow-up from the CC on the submitted names of experts since the Court ruled that a pronouncement would be made within 14 days, and the specified time was already past. It was expected that SASSA would be able to give a concrete response on timeframes at the next meeting. She asked for clarity on the statement made in paragraph 4 of the CEO’s overview that states, “The changes envisaged will require capacity”. Does it mean that SASSA was incapacitated to carry out the needed work in compliance with the Court ruling? She asked if the incapacitation was connected to the vacancy rate and how such incapacitation impacted on SASSA’s ability to comply with the Court judgment. Ms B Masongo (DA) asked if it would be possible for MPs to get a draft of the revised APP before the proposed date early next week. Getting an advance copy would afford the Committee a privilege of going through the document before its formal presentation. On the point made on the review of HR on page 4 of the presentation, she noted that the Minister had already given a long list of unavailable skills within SASSA. It was for this reason that more HR people were needed in SASSA. It has already been agreed by the Committee that the work done by SASSA for the institutionalization of the grant payment system was not brand new. The CC shortened the timelines because of what should have happened on 1 April 2017. Ms Masongo asked about the reason behind the lack of needed skills by employees that have worked in SASSA for a long time. She asked if the long list provided by the Minister was a result of a skills audit carried out in preparation for the alignment of the APP to the CC ruling or the alignment towards the institutionalization of the grant payment system that was being worked on. It was important to know what skills were available within SASSA. The Chairperson recalled that SASSA made mention of insourcing the skills referred to. At no stage has SASSA been in a position to be able to pay grants. It was true that the media often distorts information gotten from Committee meetings. The Chairperson was sure the Minister did not say the implementation of the new contract in accordance with the Court judgment would take five years. Instead, the Minister said that a period of five years may be required, and a budget estimate was given. The Minister also said that a vetting system was needed, and skills were needed for the payment of grants. Ms De Kock asked if it was possible for the Committee to request a postponement of the DSD budget vote debate from the Speaker. The Chairperson said that Ms De Kock’s questions would be addressed during recommendations. Ms H Malgas (ANC) raised a concern on the insourcing of Regulation 26A, and noted that DSD would design its own database. She asked what would happen to the CPS database, especially since point 6.1 and 6.2 of the Court ruling speaks about the protection of that database. Ms V Mogotsi (ANC) said that SASSA would go under organisational changes after the Court ruling. It was therefore, not necessary to raise the HR plan, as such plans were prone to changes. The issue of expertise or organisational plans would change. Ms Tsoleli added that HR plan reviews usually took time to complete. She urged MPs to be realistic when dealing with matters. It was expected that a timeframe be given by SASSA on the duration it anticipated for completing the review of the HR plan. The Committee should focus on the main issues before it; including the report that SASSA already committed to submitting to the CC on 17 June 2017. She sought legal guidance on the need for an annexure to the APP to be submitted to the Speaker since there was no indication that the initial APP has been invalidated. The Chairperson said that the APP had been accurate and had been submitted. The issue at hand was the amendment of the APP in compliance with the Court ruling, and approval of the revised APP within the limited time before the budget vote debate. Mr S Mabilo (ANC) said that SASSA’s core mandate was to ensure availability of grants. A concern was raised on the timeframes. He said that SASSA’s new considerations about the opening of a holding account; and phasing in a new service provider seemed open-ended. SASSA was asked to give specific timelines for the realisation of these new considerations. He asked for the factors that may contribute to SASSA’s inability to conclude the takeover within a 12-month period. Ms Ramokgopa clarified that CPS would be phased out within the 12-month period and SASSA had envisaged the commencement of the new process in December, but was working towards commencing the process as early as October. She clarified that SASSA was not ready to take over payment of grants itself and was therefore, considering an interim approach. Several events had taken place before SASSA’s plans to take over; events such as budget cuts, shifts, and Court decisions which affected SASSA’s review and direction on taking over. This has resulted in numerous adjustments to SASSA’s plans in relation to enrollments, despite the reduction in the budget for compensation of employees. SASSA had to comply with the technology that aligns with the Reserve Bank and the national payments system environment. This was necessary for the smooth passage of money. The Chairperson sought explanation on the continuous use of CPS. She also asked how the Post Office would be able to accommodate other people without operating as CPS. Ms Ramakgopa reiterated that CPS would be phased out in 12 months. She also noted that the same presentation made to the Portfolio Committee was made to SCOPA. The other elements highlighted during the engagement with SCOPA came through the questioning and probing by SCOPA. SASSA acknowledged that it was expected to answer to the Portfolio Committee first. Nevertheless, there was a need to respond to calls made by SCOPA. SASSA would ensure consistency in all submissions. The issue of the R6 billion did not arise in both engagements with the Portfolio Committee and SCOPA, and this was because SASSA had already requested ample time to develop proper costing. She suggested that a workshop be organized for SASSA to engage properly with the Committee and seek guidance where necessary. The CEO would make a formal request about this. On tabling a revised APP, she noted that although SASSA would play its part, other Cabinet processes had to be undergone. MPs would however be provided with a draft APP to assist with better engagement. The legal unit would provide guidance on the number of days required to produce either an addendum or annexure to the APP. SASSA was revising the HR plan in order to incorporate the required skills. A person has been appointed to handle information security within SASSA. The Chairperson asked the means by which the data was protected and if the data was available for sale. Ms Ramokgopa replied that a letter was written to CPS confirming an initial request made by SASSA on the removal of clauses that permitted the use of information by beneficiaries. Initially, SASSA could control the information captured by CPS but could not control the information captured by Grindrod as a banking institution. However, SASSA should be able to properly monitor Grindrod based on the commitment made. A report has been sent from KPMG on audited information. SASSA had to follow up on this report. The information on transactional data, as well as other information on payment given to CPS has been captured in SASSA’s 2012 contract. The Chairperson asked about the operation of work streams and whether those involved were paid. Ms Wilson noted that the Committee had drifted into issues that were not part of the agenda. She sought a legal opinion on the issues already raised. The Chairperson replied that the legal opinion has been considered and accepted unanimously by the Committee. Ms Wilson said that MPs were asked to raise questions of clarity on the legal opinion and answers to questions raised were yet to be received. Mr Mabilo raised a point of order and said that Ms Wilson had to respect the Chairperson, and not interject while the Chairperson was still talking. The Chairperson said that the work streams were part of the APP, and it was important for the media to publicize accurate information as discussed in the meeting. Mr Tsakeriwa Chauke, SASSA CFO, responded about the work streams. The work streams were initially appointed to assist SASSA with insourcing the payment of grants, as a long term plan for SASSA. The work carried out by the work streams had an impact on SASSA’s functions, and also informed the decisions made by SASSA. Two separate matters had to be dealt with. One was the immediate takeover or finding an interim solution for payments, which constituted the outlook for 2018. The second matter requiring attention was the insourcing of grant payments. Proposals would be made by the work streams on how to deal with cyber risks. However, because SASSA was yet to take over payments, the recommendations and work done by the work streams would not be implemented immediately. Nevertheless, the implementation of the work carried out by the work streams was necessary and would be done in a few months. The work done by the work streams also informs SASSA’s strategy in dealing with related matters. SASSA has only paid for the work done by the work streams in terms of deliverables within SASSA. The SASSA executive was currently looking into these deliverables. The outcome of the report would implemented in a couple of years. It should be noted that the work of the work streams was not limited to 2018. SASSA has engaged with Treasury on the work streams and the feedback from Treasury was that the appointment process of the work streams was irregular. SASSA was therefore considering the letter from Treasury to engage on aspects that spoke to the irregularities, to find ways of dealing with this. The SASSA CEO would take a decision in consultation with the Minister about the future of the work streams. However, the work already done by work streams constituted valuable information, which was in the possession of SASSA and which would be utilized in implementing the elements that reflected the work of the work streams. Deliverables were a part of the work streams. A report has been made on the deliverables. SASSA was currently looking into report and engaging with the work streams in order to refine the relationship, as well as understand how the work of the work streams influenced the daily operations of SASSA. The engagement was necessary to address issues such as the availability of the required skill set needed for handling cyber risks; systems to be put in place; prevailing occurrences in the country and international arena at large; and the budgetary requirements. Although the role of the work streams was important in making decisions, the power to implement those decisions was still vested with the SASSA executives. Mr Njenxane said that paragraph 15 of the legal opinion stated that the APP was referred to the Committee by the Speaker; the Committee was unable to process it because some activities were not reflected in the APP. These activities arose due to the CC judgment which after the APP was submitted. SASSA has made a commitment to work round the clock in updating the APP to reflect these activities. The current APP lacked alignment. The legal process of aligning the APP was contained in the Rules. The legal unit would be available to assist SASSA in the alignment process. Since 17 March 2017 when the CC decision was given, this invalidity has been highlighted. SASSA had to ensure that the issues raised were taken into account when aligning the APP to the CC decision; and this process must be done immediately. Based on the above, the Portfolio Committee exercises direct oversight over the work of DSD in terms of implementation of the legislation and policy. (d) must perform any other functions, tasks or duties assigned to it in terms of the Constitution, legislation, these rules, the Joint Rules or resolutions of the Assembly, including functions, tasks and duties concerning parliamentary financial oversight or supervision of executive organs of state, constitutional institutions or other public bodies. The above states the functions of SCOPA, which are different from that of the Portfolio Committee. Ms Tsoleli noted that the Rules did not mention the Committee’s role on financials. It therefore seemed that the Portfolio Committee was encroaching on SCOPA’s functions. She asked for a legal opinion on the role of the Committee in dealing with financial issues. Mr Njenxane replied he could only refer to the provisions of the Rules. He however noted that there would be no effective oversight of the executive’s functions without an overview of how the budget would be spent by the department in implementing its programmes. The work of the Committee oversees the work of the department, and this includes the financial implications of how the department is run. He emphasised NA Rule 227(b), (c) and (e) that serves to provide for the role of the Committee in overseeing the financials of the department. The Chairperson said that based on the Rules, the Portfolio Committee may refer issues of financial misappropriation to SCOPA for proper investigation. Ms Madlopha said that the mandate of the Committee indicates the ability of the Committee to deal with financial issues relating to the budget and so on. In her view, SCOPA dealt with financial matters after all processes have been completed, whereas the Standing Committee on Appropriation monitored the money during the budget process and ensured that the budget was spent on targeted programmes. Most of the time, SCOPA dealt with audit outcomes. She agreed with Ms Tsoleli that the Committee has been encroaching on SCOPA’s role. Ms van der Merwe said that SCOPA carried out further investigation on matters such as irregular expenditure and fruitless and wasteful expenditure. The initial point she was trying to make was that the Committee and SASSA had to be more open with each other in terms of operational plans, timeframes, and compliance with the CC, instead of such taking such issues to SCOPA since SCOPA dealt with financial matters afterwards. The Chairperson replied that Ms van der Merwe’s point was taken. It was only necessary that a legal opinion be given on the concern raised, and this has been given by the legal unit. Ms van der Merwe asked if it would be advisable for the Committee to request a later date for its budget vote debate before the final Appropriation Bill was considered. The Chairperson replied that the issue was for Parliament to address. Nevertheless, advice would be sought from the Speaker’s office on the matter. The Committee Secretary said that when the APP has been referred by the Speaker for committee consideration, there must be some engagements with the department and thereafter the committee must compile a report that must be adopted by the committee and it was that report that would be debated in the House. There is no way one can schedule a House debate without the committee being able to interrogate and then have a report and adopt that report. The Chairperson said that the task at hand was finding a way to merge the amendments with the APP that was submitted so that the submission to the Speaker would be flawless. She recapped the issues discussed at the meeting and said that the Committee had agreed to consider SASSA’s progress report as a standing issue. However, it could not be dealt with in isolation, hence, the need for discussion on all matters relating to compliance with the Court judgment and the work already done in aligning its APP and meeting the timeframe. The Committee also noted the importance of getting legal opinions on the status of the current APP that had undergone the budget process. SASSA alluded to additional requirements given in the Court judgment. It was therefore important for the APP to be amended to reflect the additional elements relating to plans, strategy and implementation. SASSA has noted that the amendments can be made without SASSA incurring additional costs. However, a proper costed plan would be submitted to the Committee. She noted that MPs involved in other committees would need time to prepare for the budget debate.